If you enjoy playing games which offer unique gameplay, it may be worth downloading Merge Dogs for PC. 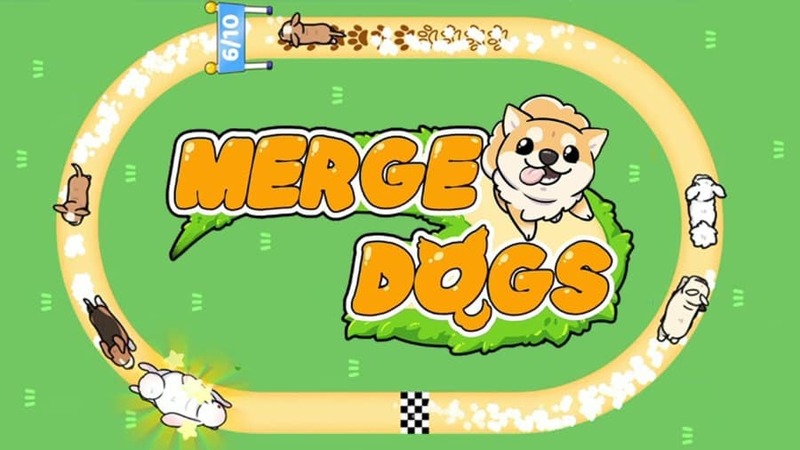 In Merge Dogs you ‘ll get to control a team of adorable animated sled dogs who you’ll be able to merge in order to race faster and to win a series of hotly contested races. 1. You’ll be able to upgrade your tiny puppies into larger, faster dogs. 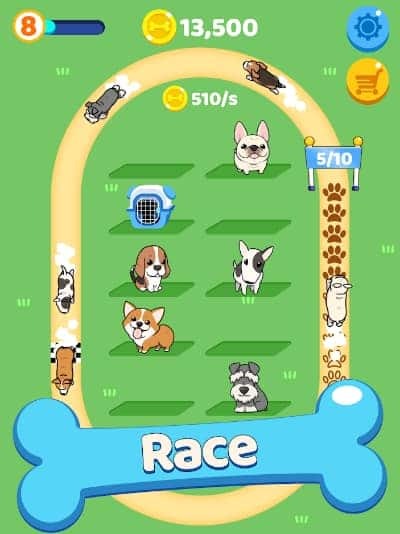 In order to be able to win more competitive races, you’ll need to upgrade your tiny puppies, into larger, faster dogs. It’s important to try and merge faster dogs as you’ll be able to compete in races which offer larger, more lucrative prizes. 2. Merge multiple puppies into a single dog. In order to create larger, more powerful dogs you’ll need to merge two of your sled dogs into a single dog. 3. Create over 20 different breeds of dogs. Part of the fun of playing Merge Dogs is unlocking new breeds of dogs. Some examples of some of the dog breeds which are featured in Merge Dogs include pugs, chihuahuas, bulldogs, poodles, and beagles. So it’s always fun merging two dogs together to see if you can unlock a new dog breed. 4. You’ll earn coins, even when you’re not playing Merge Dogs. You may be excited to read that you’ll be able to earn valuable in-game coins when your game is idle. So that each time you boot up Merge Dogs, you’ll have newly earnt coins to spend. In order to make your dog sled team even stronger! You may find logging in to find more coins particularly refreshing if you’re used to playing games, which force you to complete monotonous, repetitive tasks in order to earn enough coins to progress through your game. 5. You’ll be able to buy dogs as well as merge dogs. Once you have a huge stockpile of coins you’ll also be able to purchase new dogs, instead of relying on merging dogs alone, to build your dog sled team. One of the reasons why Merge Dogs is so popular is that it boasts high-quality animation. When you download Merge Dogs except to fall in love with all of the dogs which you unlock. You may even struggle to merge some of your original puppies as they are so cute. 7. You’ll enjoy watching your dog sled team race around their oval track. In each race, you’ll get to watch on as your selected dog sled team hurtles around an oval track at full speed against their competitors. If you enjoy watching horse races, you’ll find watching your dog team race, just as thrilling an experience. As if your team wins, you’ll take home a large stash of coins. You’ll love hearing your cute little dogs bark with glee as they win races. So it’s well worth turning your computer’s sound up. 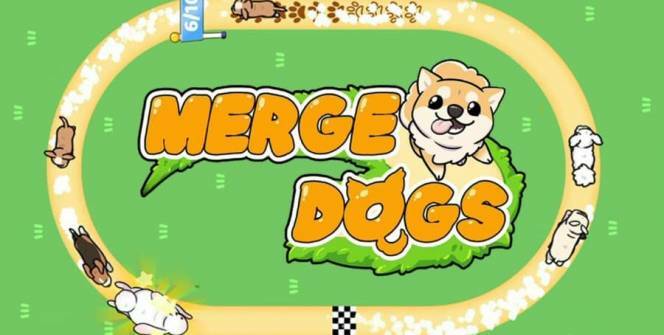 So if you’re a dog lover and love the sound of playing Merge Dogs, it’s well worth checking it out. Sometimes when playing Merge Dogs, bluestacks ask you fee to pay but gives you option to download some apps. Every time it asks you just select “Install apps” and continue using it free. I hope you enjoyed this article, please rate and share. If you have problems running Merge Dogs on your desktop or any other issues, leave a comment below.